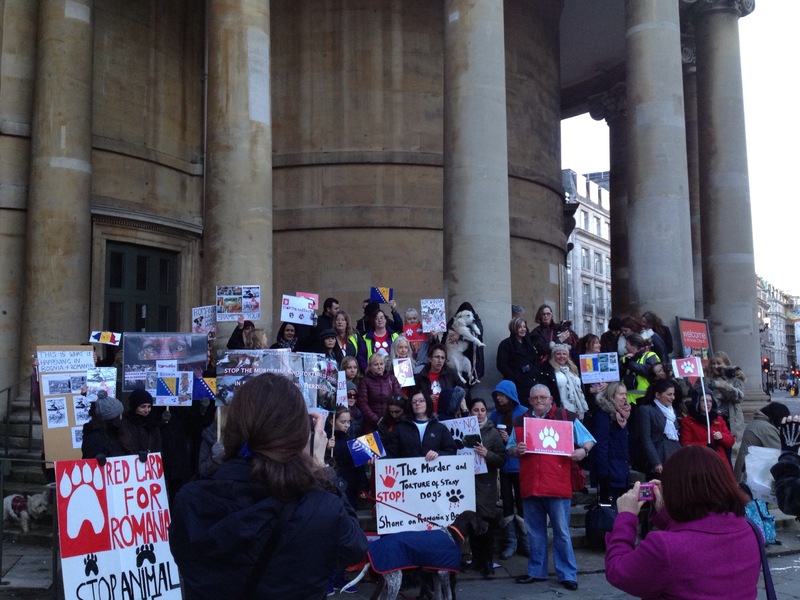 Yesterday, Saturday the 11th January, a protest was staged outside of the BBC in London. People of all ages came from all over England, and also from Ireland, Poland, Wales. Many brought their rescue dogs. 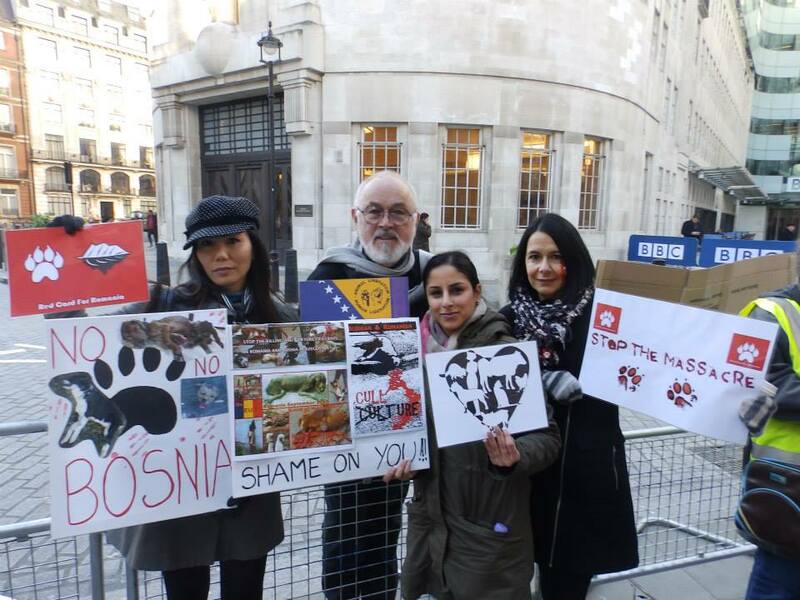 A number of key activists for both Romania and Bosnia Herzegovina were able to attend. 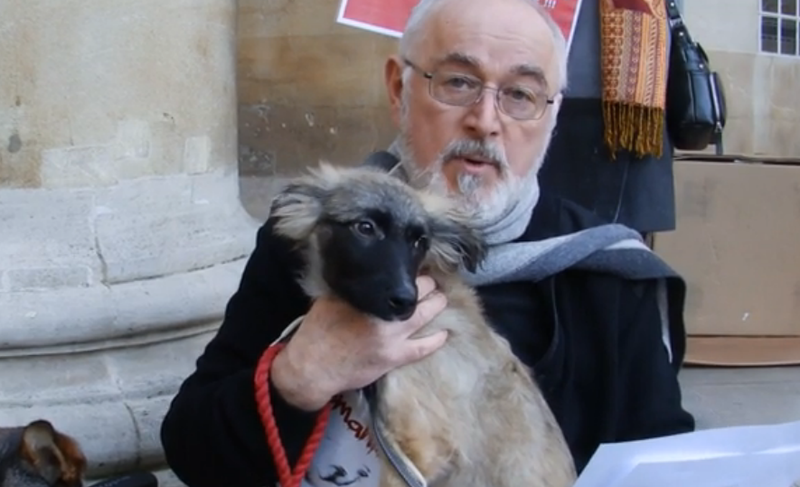 Peter Egan, actor and animal advocate who is actively involved with All Dogs Matter, a voluntary dog rescue organisation based in London, attended and made a speech. Peter and his wife Myra own several rescue dogs and have adopted a rescue dog from Bosnia Herzegovina, from rescuer Milena Malesevic. 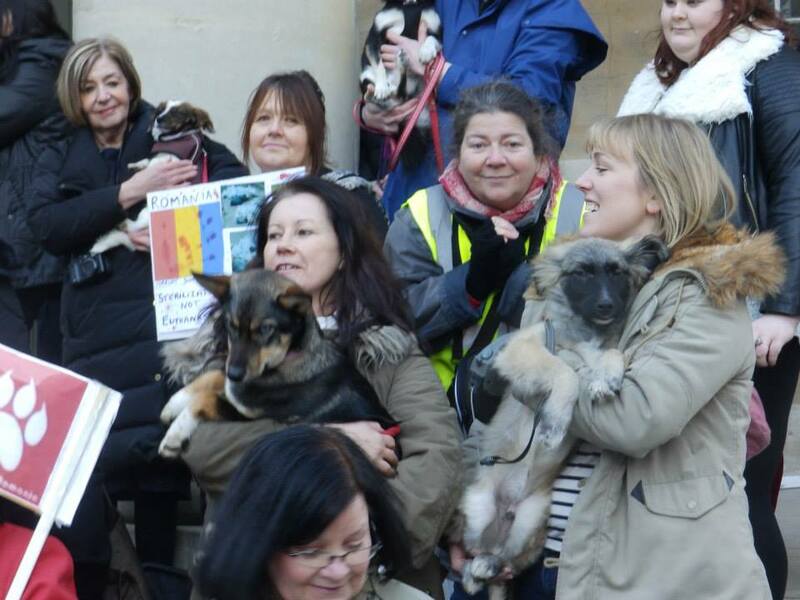 Peter sat cuddling some of the rescued dogs while he gave his inspiring speech, it was very touching. 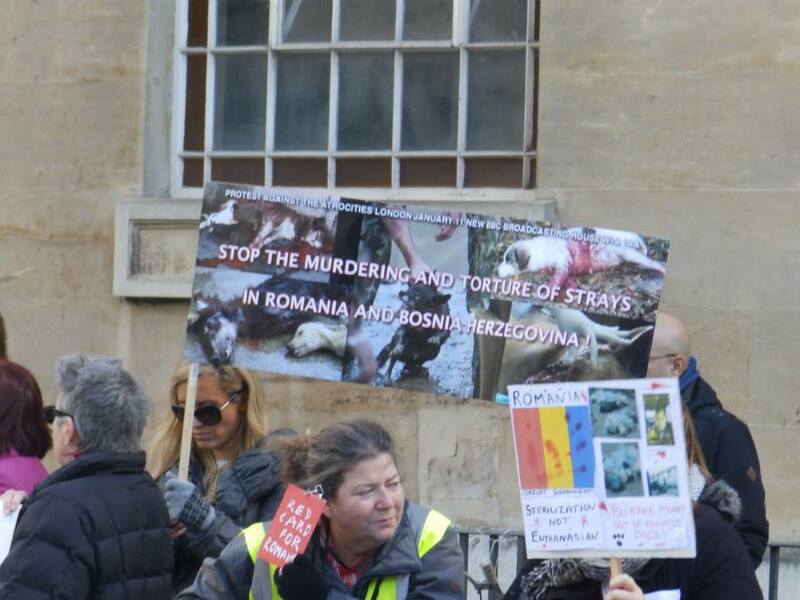 He also read a piece from Vic Ferguson, who was a NATO soldier in Sarajevo in 1995 and 1996, and who is now actively supporting the campaign against dog abuse and cruelty in BiH. Vic is responsible for creating the group Phoenix Rising, a non-profit organisation set up to support sufferers of Post Traumatic Stress through animal therapy. 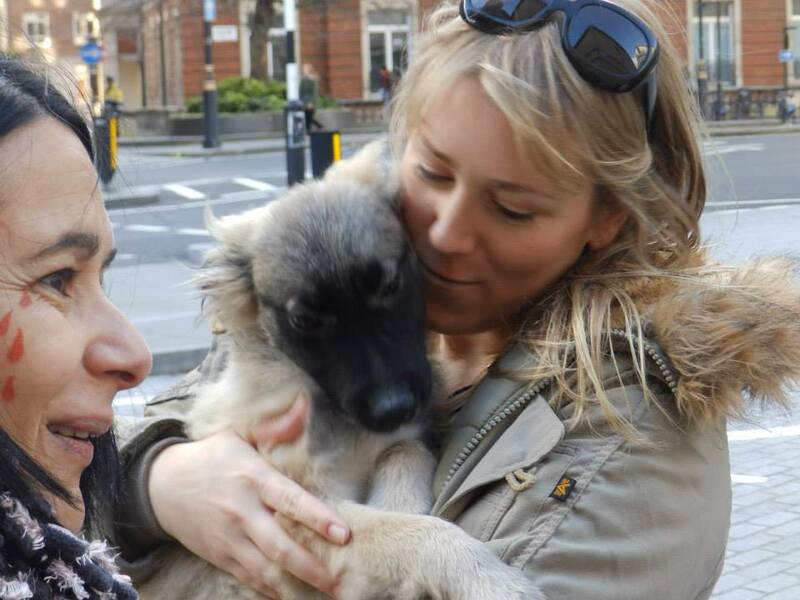 This gorgeous puppy, recently rescued from Romania, was a big hit at the protest, such a sweetheart that everyone wanted to cuddle. 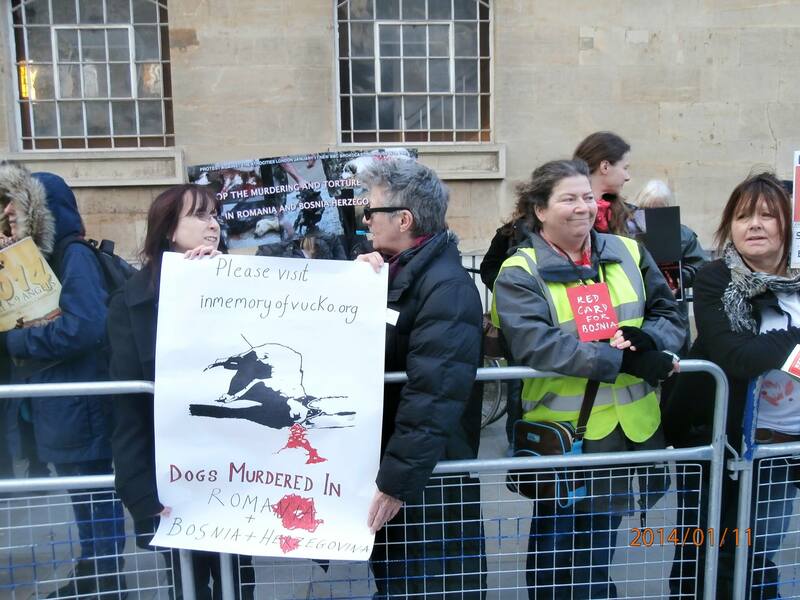 UK citizens Elaine Renton and Mandy Kataria have organized a protest on Saturday, January 11th, 2014 from 1:00 until 3 p.m. outside the BBC Broadcasting House in Portland Place, London, to raise awareness about the mass extermination of strays in Romania and Bosnia Herzegovina. 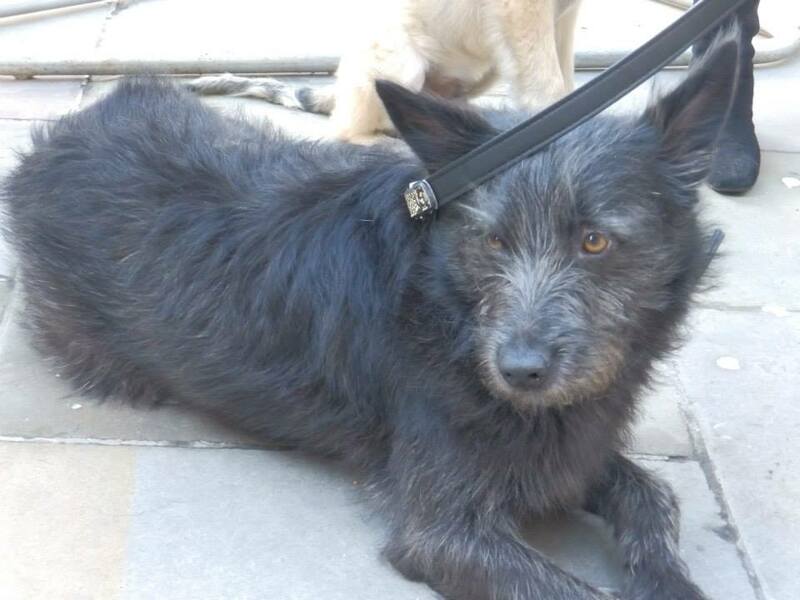 If the Bosnia Herzegovina Parliament’s proposed amendments to current animal welfare legislation are passed, a legal framework will be introduced that will allow for thousands of stray dogs to be caught, held for 15 days and then killed if not claimed, including the more than 3000 stray dogs who have been sterilised by Dogs’ Trust UK in June 2013. 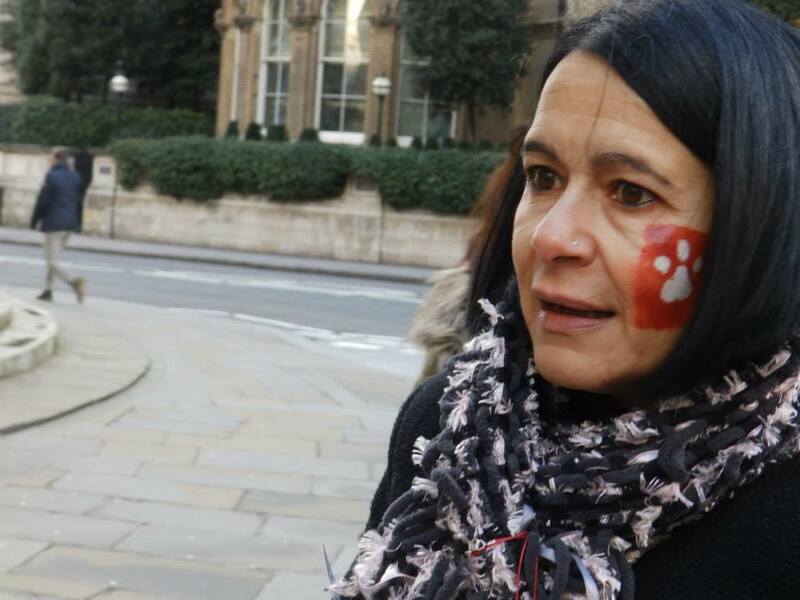 Activists in Bosnia Herzegovina state that the proposed amendments to the law are intended to mask illegal killing of strays and other ongoing violations to current legislation, including misuse of funds intended for dogs in public shelters and for spay-neuter programs. For Bosnia there is some hope: the Constitutional-Legal Committee of the House of Peoples have refused the amendments, and instead have recommended that an action plan for the implementation of the existing law be instituted. However the opinion of this committee was neither united, nor is obligatory and activists maintain that pressure must be continued to ensure delegates will respect this decision during the next Parliament voting session. In Romania, however, the Constitutional Court passed a law last September allowing the euthanasia of dogs after 14 days spent in dog shelters if not adopted or perished before this time. The approval and implementation of this law has produced worldwide condemnation and a perception that Romania is a country which introduces medieval practices and governs in a draconian mode. “Euthanasia” in dog shelters in Romania and Bosnia Herzegovina is purported to be carried out by: poisoning, strangling; burning alive; beaten to death; and injecting with bleach, vinegar, paint thinner and other chemical substances. 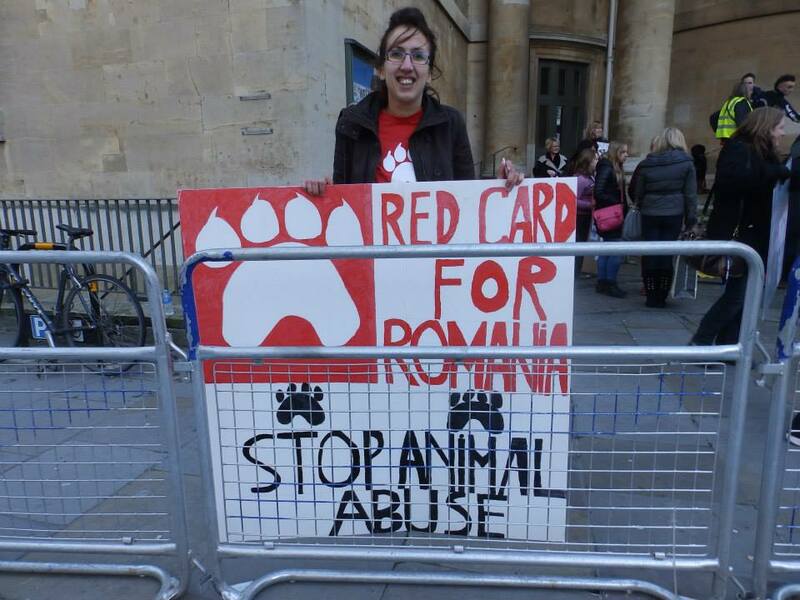 For more information on what is happening in Romania, please see Occupy For Animals, where there are many posts on the situation, and Rita Pal’s articles in the Huffington Post. 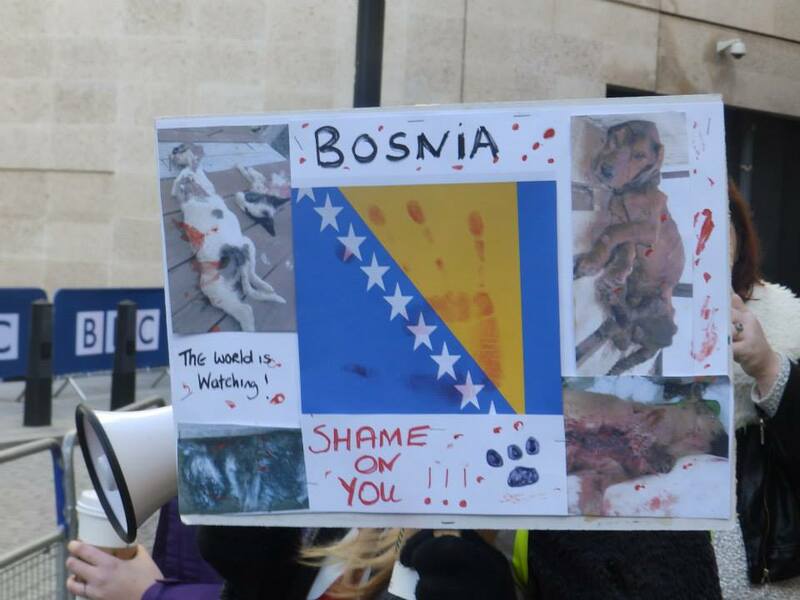 She has also written a piece on what is happening in Bosnia Herzegovina: Canine Cruelty in Bosnia. NEAREST TUBE – GLOUCESTER ROAD or EARLS COURT. Google Map here and a screenshot of the area above. Regarding the voting on the proposed amendments to the Animal Welfare Act of BiH, we are waiting to hear when the next vote will be. We believe sometime at the end of January. 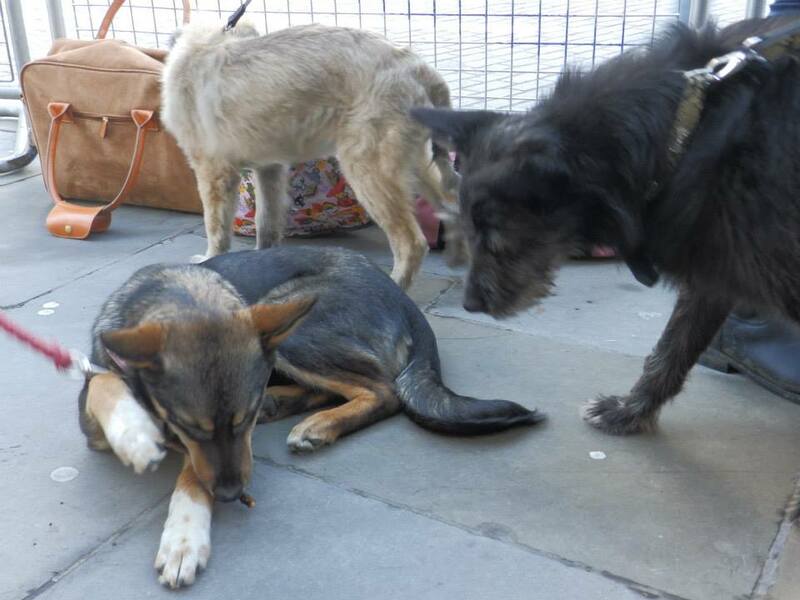 Please read this post: One Step Forward for the Strays of Bosnia Herzegovina! All information is in the related posts listed below. If there is anything further we can do I will keep you updated. Please help by keep writing to your MEPs, Embassies, media etc. 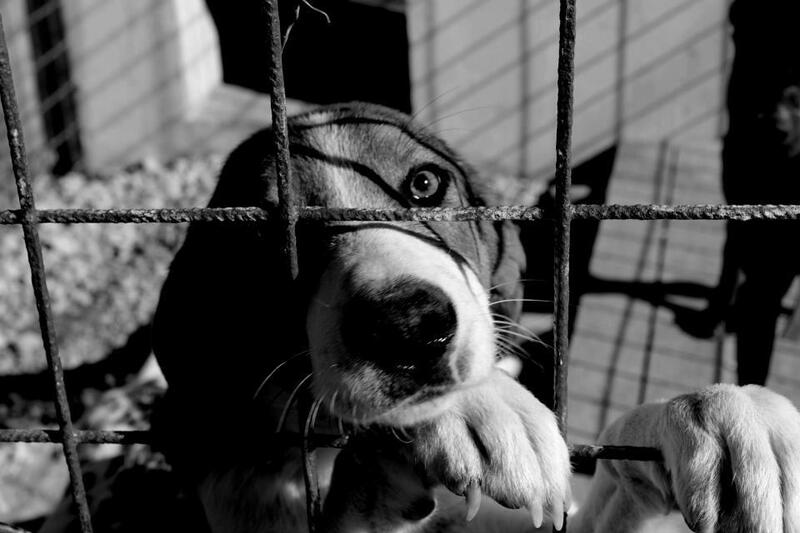 No matter what the outcome of the voting is, the situation in BiH has been bad for strays for so long, including numerous and continued transgressions of the existing animal welfare law, we just have to keep at it, keep uncovering illegalities and keep campaigning to ensure the humane treatment of all animals in the country. 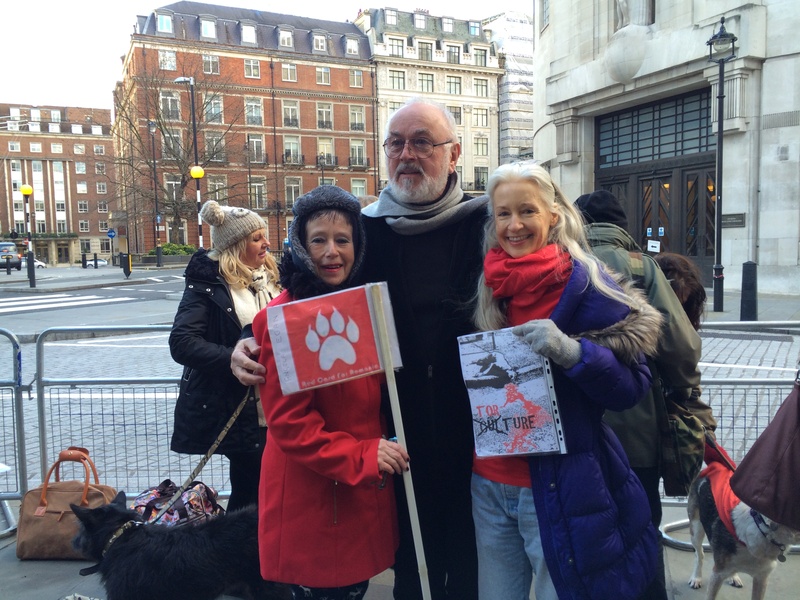 This entry was posted in Advocacy, Cat Abuse, Fundraising, Protests, Urgent - dogs needing help and tagged Bosnia-Herzegovina, Peter Egan by Sandra Jensen. Bookmark the permalink. Very Well done. Much appreciation and respect to everyone who participated in this protest. Please keep up the great work! 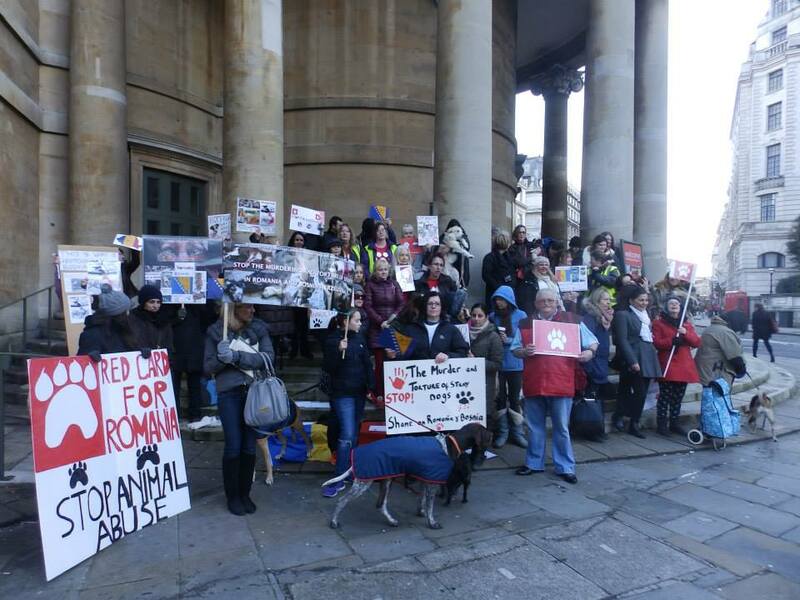 A protest against slaughter of stray dogs was held in Bucharest Romania on 11 of January 2014 only to be scattered by the police (without violence though) claiming that we didnt had the proper City Hall authorizations (even though you need authorizations for protest marches). We’ll be back protesting next Saturday. Thank you for making a stand and giving those poor dogs a voice. Well done, an inspiration to us all 🙂 I went to one in London in the summer. This needs to stop, massacre and corruption is disgusting! Could someone explain me why those people do not protest against Dogs Act 1906 which states that every stray dog which is not claimed can be destroyed after SEVEN days? Why UK, along with US, Canada, France, Switzerland,, Japan etc., etc stll apply the “ineffective” and “barbaric” measure of putting down the dogs which cannot be rehomed instead to return them to roam freely on the streets ready to maul and even kill people (expecially children, elders or other persons which are not able to defend themselves)? Since euthanasia of stray dogs in Bucharest has been suspended in 2008 the number of stray dogs attacks has nearly doubled in just four years. 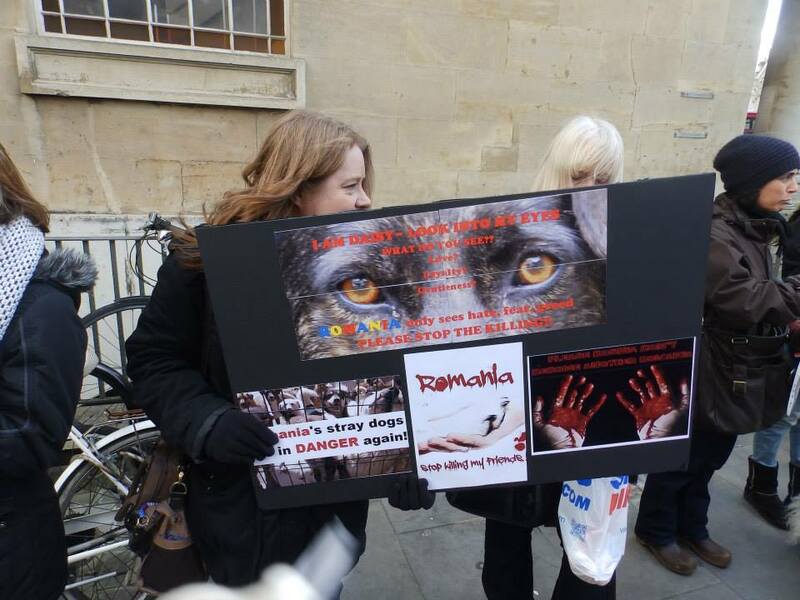 Every country where the euthanasia policy has been stopped (Romania, Sri Lanka, Bosnia, Turkey, Ukraine, Greece) experienced an increase of the number of stray dogs and also an increase of number of attacks on humans. That is why many of them considered the return to the euthanasia of the unclaimed dogs which is largely used in the civilised world, I don’t know the provisions of the new Bosnian law, but as a Romanian I precisely know that the new law on the stray dogs requires not only the euthanasia of the stray dogs which cannot be rehomed, but also the mandatory spaying of owned dogs, mandatory identification with microchips, mandatory schedule for visiting the public shelters and free acces of AWO members in the shelters. 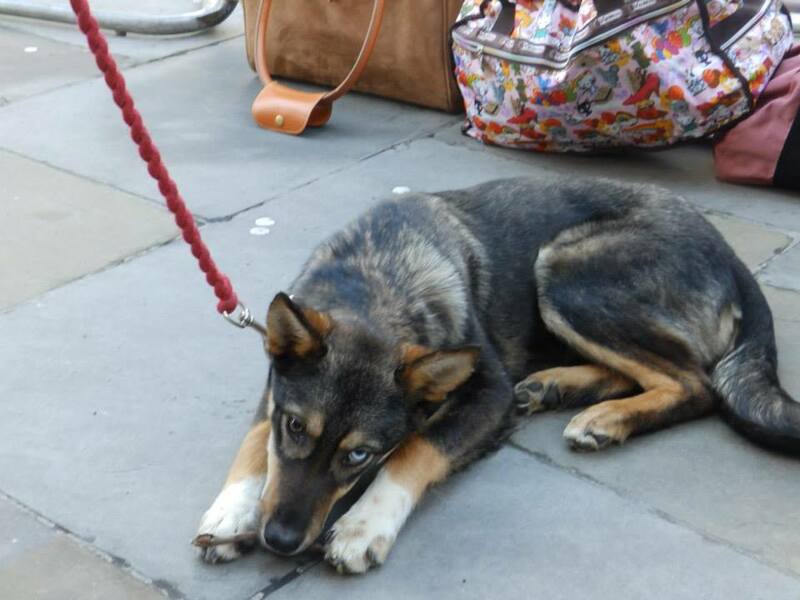 There is a regulation on the state level in the UK about euthanasia of dogs after they spend seven days in shelters. It’s the acting regulation for public shelters. However, taking Dogs Trust as an example, this organization runs 16 shelters in the UK. None of the Dogs Trust shelters, or for that matter none of the shelters that other organizations run, have a regulation about mandatory euthanasia. On the contrary, they have simply excluded the regulation from the law. I might ask, how come no one in Italy and Germany want to change the no kill laws in these countries to kill laws? Because there is integral implementation of the animal welfare laws in those countries, while there is partial, selective implementation in BiH. Another issue, is that ‘euthanisation’ in terms of how dogs are put to sleep in Bih is a misnomer. There is nothing ‘good’ about it. We have documentation of dogs being killed by clubbing, injections of bleach and worse. Euthanisation is costly, requiring skilled vets and expensive drugs. If the BiH funds such a programe, you can be sure the money will end up in shelter manager’s pockets and not spent on the dogs. If you have read this blog, you will see documentation of ‘shelter’ conditions in BiH. Under the current animal welfare laws in Bih, shelters are to care for and provide food, shelter and medical attention to dogs. It is not happening. So ‘euthanisation’ certainly wont happen, only killing in barbaric methods. 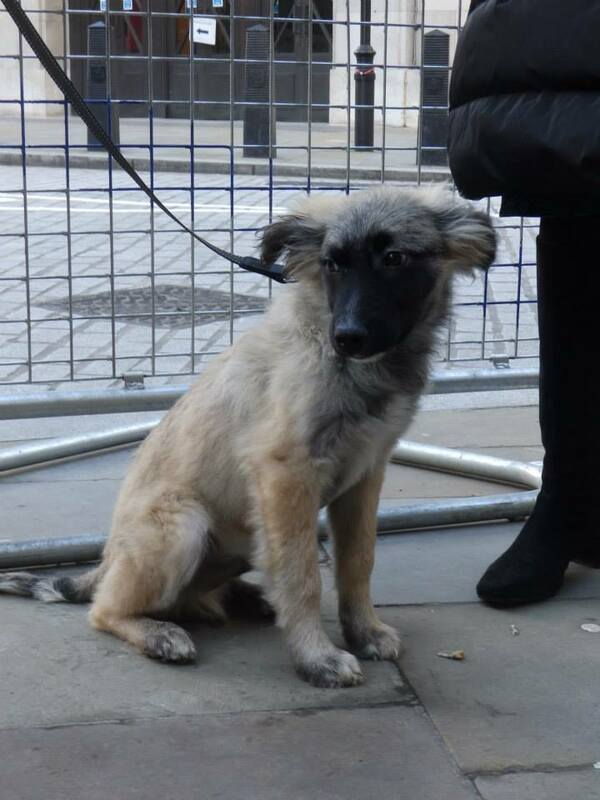 Futhermore, there have been no attempts in Bih to ensure that owned dogs are sterilised. Most owned dogs are free-roaming. Spay-neuter programs have been ineffectually implemented. The Animal Protection and Welfare Law of Bih is an absolutely enforceable and functional law which provides for the proper, long-term curtailment of stray dog populations through sterilisation programs for all dogs and cats, owned and otherwise. However it is not enforced because of political interests and money laundering. Also, enormous funds from European Union, United Kingdom and budgets of Bih authorities have been laundered through the so-called shelters for stray animals, whose owners, directors, managers, are people close to the local authorities in municipalities. Along with those who break the animal welfare laws, the main culprit for the law’s non-implementation and violation is the Veterinary Office of Bosnia and Herzegovina that has to supervise implementation of Animal Protection and Welfare Act of Bosnia and Herzegovina. This is provided by Article 36 (Supervision over the implementation of the Law) of this law. Also authorized official veterinarians – veterinary inspectors – do not implement provisions of Article 37 (Official veterinarians rights) and Article 38 (Duties and measures of official veterinarians) of the Animal Protection and Welfare Act of Bosnia and Herzegovina, and they do not punish perpetrators of animal abuse, as is provided by the provisions of Articles 41 (Penalties for animal owners) and 42 (Violations by legal and physical entities) of Animal Protection and Welfare Act of Bosnia and Herzegovina. Many cases of violating of Animal Protection and Welfare Act have been reported to the Veterinary Office (for example the conditions in state owned shelters) but the Office has remained passive. Perpetrators of dire animal abuse (BiH has some of the highest numbers of reports of animal abuse) are not punished. The fact is that officials of Veterinary Office recognize obstructions and violations of Animal Protection and Welfare Act, but they do not supervise its implementation. Also, the Veterinary Office does not do anything to supervise official veterinarians. Many official veterinarians do not punish violators of the laws, and the Veterinary Office does do make anything to prevent and stop this illegal practice. The greatest resistance to the implementation of Animal Protection and Welfare Act is from the veterinary profession, and then the government. 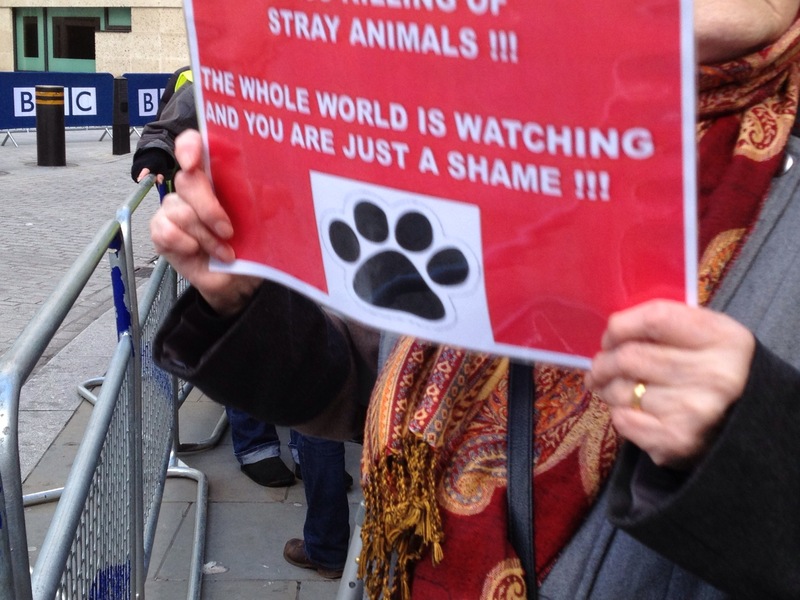 So, regarding Bosnia-Herzegovina, there is every reason to protest against the inhumane treatment of strays. Regarding Romania, it is true that the Romanian Animal Welfare Law 9/2008, also known as Law Marinescu, prohibits the euthanasia of healthy dogs. Since its introduction in 2008 – and until the introduction of the Slaughter Law; OUG 155/2001 which became Law 258/2013 also known as Law Ionut – only dogs who where ill beyond cure or deemed aggressive, could be killed. Killing stray dogs is, however, and contrary to what you write, ineffective as a mean to reduce their population because it targets the wrong group as stray dogs are the least reproductive. 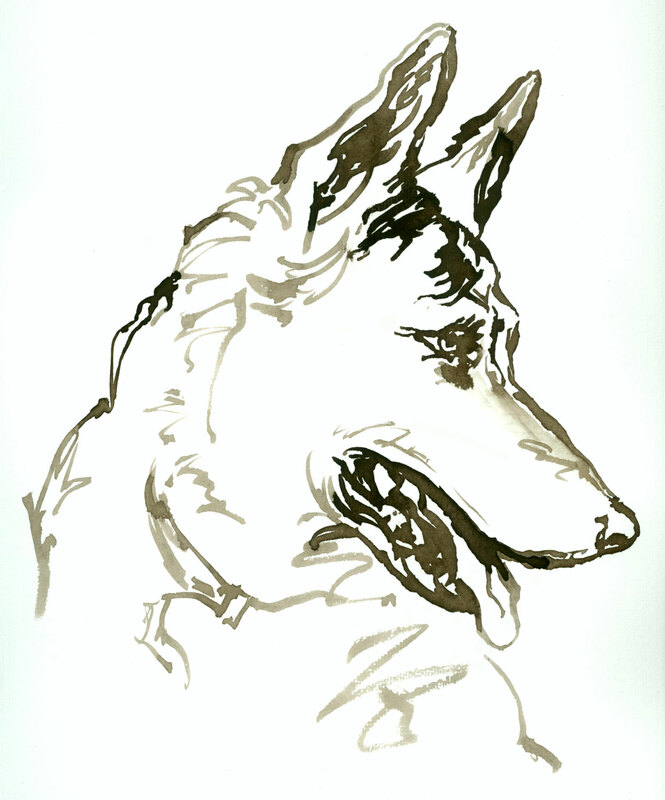 The most reproductive dogs are those with owners, or the community dogs that are being cared of and well fed. That is why only the sterilization of owned dogs, which are the source of abandoned dogs, will reduce stray dog population in the long term. Statistical studies indicate that in order to fully control a stray population, you need to achieve a 70 percent sterilization rate of the animals within a particular community. Once you reach the 70 percent threshold, the probability that an unsterilized female comes into contact with an unsterilized male is sufficiently small, and the population stops growing. In 2001, Traian Basescu, the then-mayor of Bucharest and the same ‘gentleman’ who introduced the Romanian Slaughter Law, launched a campaign that led to the extermination of about 144,000 stray dogs in the capital alone, spending almost 9,000,000 Euros (62 Euros per dog) during the period from 2001-2007. 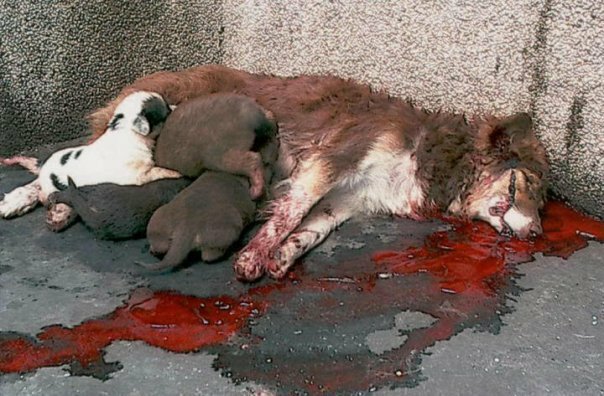 Between 2008-2010, 20,000 dogs have been killed in Constanta spending 1,500,000 Euros (75 Euros per dog), with nil effect! Costs to spay/neuter a dog: 12 euro – program run and funded by city hall Lugoj in collaboration with local animal welfare organization, Free Amely. According to Princess Maja von Hohenzollern, Romania has killed an incredible 10 million stray dogs during the period from 2004 to 2009. That IS a ‘genocide of dogs’ that has never happened in Europe – and the entire world – before. Romania has killed almost half as many dogs as the entire population of Romania with the only “result” that the streets of Romania are again (still) littered with live and dead dogs. Overall it is estimated that Romania has spend between 25 and 40 million euros between 2001 and 2008 for the ‘management’ of the stray animals, while their numbers only grew larger.